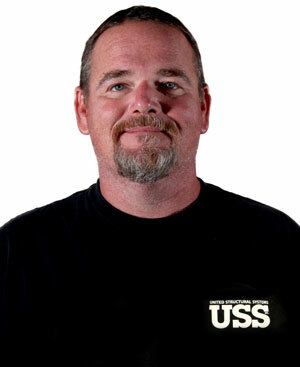 Chad Hall was hired by USS on September 24, 1999. He is currently an advisory team member. His former experience includes machinery, carpentry and welding. He is currently engaged and the father of two daughters and grandfather of one granddaughter. He enjoys fishing, hunting and riding motorcycles. “No two projects are ever the same. It keeps things interesting. Every project offers a chance to learn new things. We have such a great group of people here. We are one big team, and we look out for each other,” Chad said.